​Snowy Owls are uncommon and irregular winter visitors from the Arctic. These special visitors are in unfamiliar surroundings and are often stressed and hungry. Approaching too closely can make them fly, depleting critical energy reserves. We hope you are fortunate enough to encounter one of these magnificent birds. 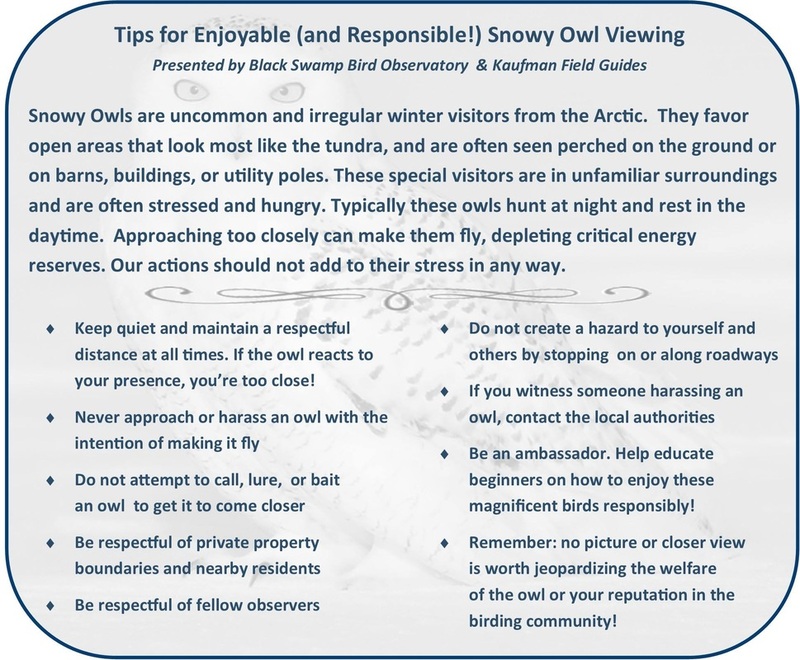 To help you enjoy viewing them in a responsible way, Black Swamp Bird Observatory and Kaufman Field Guides collaborated on some tips.Please feel free to print and share!